My husband and I celebrated our 40th anniversary in August. We went on a trip to Alaska to celebrate, but otherwise said we didn't want any gifts from each other. Of course that never works. I made him a photo book with pictures from the time we dated (only 9 months), our wedding, our first apartment, etc. And he gave me flowers. Not just a normal vase of flowers but three--yes three!--arrangements. One big whampum vase full of flowers (nearly 3' high!) for the main room of our house, and two matching smaller arrangements for my office and the room where I usually watch TV. How thoughtful was that? The point--beyond my husband being a really amazing man--is that he knew I didn't like roses because they don't last very long, so he asked the florist to make the arrangements with one of my favorite flowers: hydrangeas. 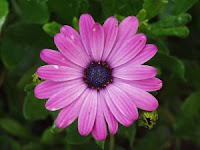 After writing many historical novels, I remembered the "Language of Flowers", the premise that every bouquet given and received had a hidden meaning. 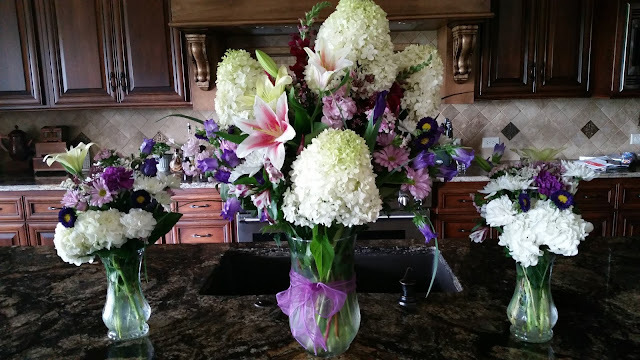 So what did the flowers in my husband's arrangement mean? I consulted a great reference book called The Illuminated Language of Flowers by Kate Greenaway (with text by Jean Marsh). 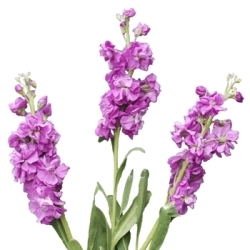 It offers a listing of flowers and a cross-listing of emotions so you can choose just the right flowers to express yourself. Kate first published it in 1884, and it is beautifully illustrated by the author. Jean Marsh adds interest with her narrative. Hydrangeas: A boaster, Heartlessness. Sure, I'll boast about 40 years. But heartless? No way. 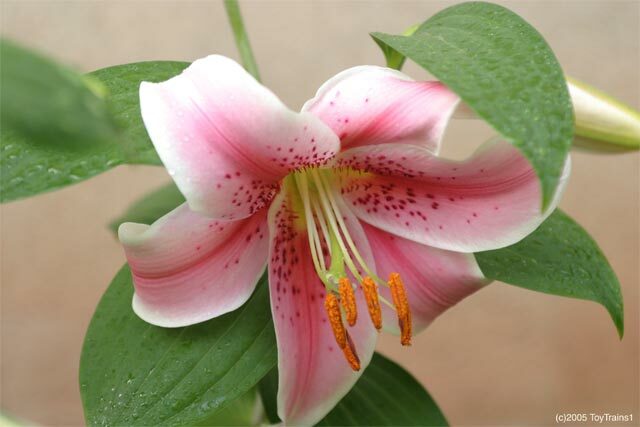 White Lilies: Purity, Sweetness, Modesty. Surely you jest about the first two. Modest? That one's true. At age 60 it's best to hide more and show less. Daisies: Innocence. We got married when we were twenty and still had two years of college left. Neither of us had ever lived on our own; we each came into marriage directly from our parents' homes. We were both innocent to the real world of rent, utilities, bills, laundry, cooking, and simply getting along with another person all day, every day. 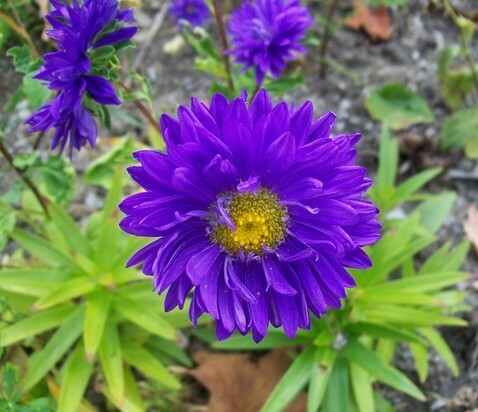 Asters: Variety. Afterthought. Yes, my husband gave me a variety of flowers, but they were not an afterthought. Unlike many other presents through the years, this time he thought ahead, planned, and ordered them with care. Good job! 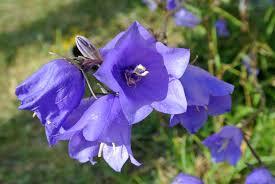 Bellflowers: Constancy. Bingo! This flower speaks my language. For what is more constant than our love over forty years? 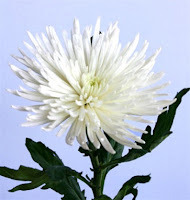 White chrysanthemums: Truth. The truth is we could only have stayed married if truth was a big part of that marriage. The passing of decades forces couples to toss the baloney out with the trash. Stock: Lasting beauty. Yes, it's true. Our marriage continues as a thing of lasting beauty! I'm beautiful to him, and he is beautiful to me. Ahh. Maybe we should add some sap-dragons. Oops. Snap-dragons. The trouble with flower translations is that there are over 150 dictionaries of flower languages--and they seldom agree. 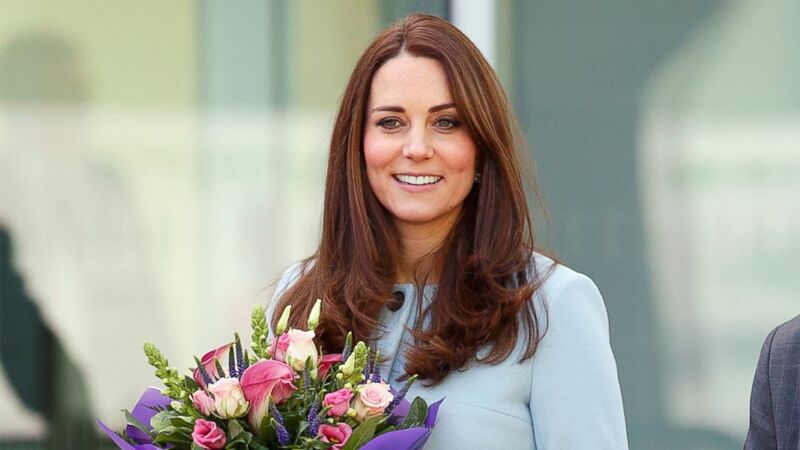 Speaking of another Kate, Kate Middleton used the language of flowers to choose the flowers for their wedding. If it's good enough for the Duchess of Cambridge . 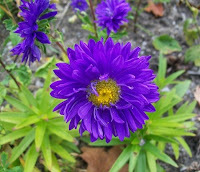 . .
Have fun with the language of flowers. But may I suggest no one gives watermelon (it implies "bulkiness"), Guelder Rose which implies "age", Fuller's Teasel: "misanthropy", or Vine: "intoxication." Other than these few iffy-messages, go for it. Speak the language. I love to have floral arrangements in the house and at the moment have sunflowers and a hydrangea arrangement. Thanks for mentioning your book, I really enjoy the Victorian period. Now on my to-read pile. 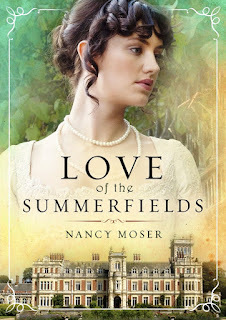 Book #2 in the Manor House series is coming out November 1: Bride of the Summerfields. I'll do my best to keep your TBR pile growing! Nancy, thank you for a delightful post. My favorite flowers are hydrangeas, too. 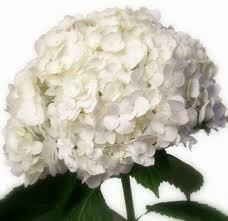 I had a whole bush of white hydrangeas to myself outside my bedroom window when we lived in Piggott, Arkansas. Daddy loved rose bushes and mother loved cut flower arrangements for the kitchen table. She wanted flowers inside to admire while she did household chores. They dry really well too. I will bring them inside and just let them sit, and they dry and even keep the color! 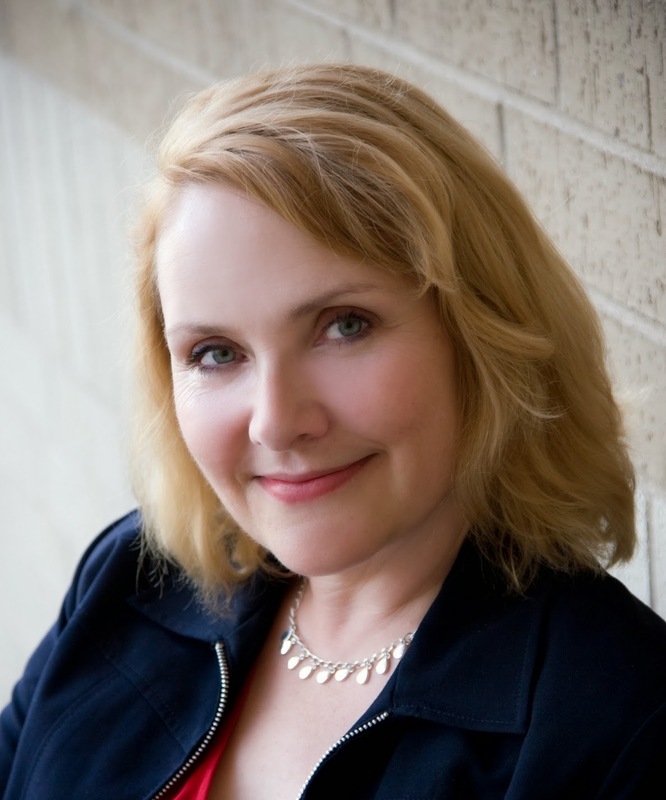 Thank you for a great post, Nancy!